Nike is the world’s biggest manufacturer of athletic and sports footwear and equipment for both men and women. Its mission statement is to bring inspiration and innovation to every athlete in the world. Nike joined Rylands as Teamwear sponsor for the 2012/13 season and onwards in conjunction with Triple S Sports & Entertainment. Equistone Partners Europe Limited is an independent investment firm owned and managed by the former executives of Barclays Private Equity. Equistone's team of 36 investment professionals operates across France, Germany, Switzerland and the UK, investing as a strategic partner alongside management teams. In each of its markets, Equistone look for strategic businesses with the potential to grow in value assisted by its capital and experience. Equistone has a strong focus on change of ownership deals and aim to invest between €25m and €125m of equity in businesses with enterprise values of between €50m and €300m. Equistone's business model involves each of its three country teams operating with a high degree of autonomy to source and manage investments, leveraging its European franchise but as true local participants. This is combined with a governance structure and investment committee that encompasses the whole firm, to ensure maximum alignment with investors. Consistent with this model, each of Equistone's country teams operates a local language website to interface with companies, management teams and advisers in each local market. If you would like to know more about Equistone Partners Europe generally, please visit the company website. thinkmoney are part of the Think Money Group of companies, founded over two decades ago to offer help and advice to people with money worries. The thinkmoney Personal Account was created to help customers manage their finances. Bringing them simplicity, transparency - and the peace of mind that comes with knowing experts are looking after their bills on their behalf. 10 years on, our Personal Account has over 100,000 customers and counting. Knox & Son are a funeral directors in Warrington, ran by the Knox family to serve your family. Knox Funerals provide a dedicated, sympathetic and professional funeral service tailored to provide for all religious and non religious funerals. As Warrington’s longest established independent funeral directors, they are committed to providing the highest service to each family served. From the moment you get in touch Knox pride ourselves on personal attention to every detail. With decades of experience, Knox Funerals continue to offer a range of services from the simple and elegant, to the elaborate and unique, including celebrations of life, green, woodland burials and pre paid funeral plans. Please contact Knox & Son Funeral Directors Warrington, they are here to offer help and guidance to the families of the community in their hour of need. As experts in finding the best insurance solutions for your particular requirements, FNC absolutely understand the need for professionalism. Confidentiality and discretion are at the heart of their ethos, and, combining 30 years of expert knowledge with superb attention to detail, FNC pride themselves on providing an excellent service that always puts the customer first. All of FNC's clients are provided with their Personal Client Manager’s mobile phone number, so that assistance can be provided promptly, everyday of the year, should you need it. 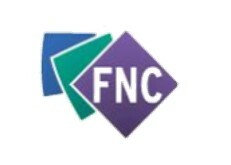 Available 24 hours a day, you can be sure of FNC's commitment to providing a first class service. Hanleys Accountants work closely with clients and act for a broad range of business and personal clients. Apart from the more general accountancy services, Hanleys can also assist with business development and specialist tax services. Their philosophy is always to do our utmost to... -Provide friendly, courteous and efficient service; -Always exceed your expectations; -Listen to what YOU are saying; -Communicate with you quickly and fully; -Never surprise you with bills you're not expecting; -Be honest, truthful and upfront with you at all times; -Aim for you to pay the least amount of tax payable within the law; -Provide pro-active business advice wherever possible. You can receive a very broad range of services and Hanleys are familiar with business clients from startups to larger companies covering many sectors including... -Manufacturing; -Professional services; -Retail; -Agriculture; -Construction; -Property rental and development; -Transport; -Information Technology; -Design and Marketing; -Service businesses. Aughton Automation specialises in providing consultancy, design, manufacture, installation, commissioning and maintenance services. These are all available across our areas of expertise in maintenance works, test and calibrations services, as well as project-based works, to the utilities and industrial sectors. Groundlevel Services Limited was established in 1997 to specialise in landscaping and grounds maintenance. Following a continued growth we have expanded our scope to become a complete facilities management company. 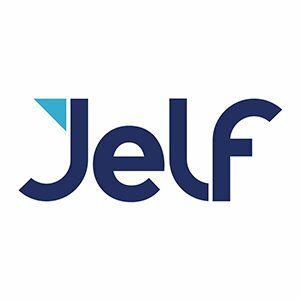 Providing services to many commercial, educational, business and property management sectors throughout the northwest of England and The Midlands. Ground Level's mobile teams operate in Cheshire, South Lancashire, Greater Manchester, Merseyside and even further afield. Groundlevel Services supplies cleaning services, including interior and exterior window cleaning, landscaping and grounds maintenance, including electrical and plumbing services. They can operate a scheduled inspection and maintenance service, emergency response and also management services for construction and special projects. Ground Level also provide their clients with a single contact point for all of their requirements. Aiming to give all of our clients’ an individually tailored and cost effective service that will meet their building management needs. Maudesport is one of the UK’s leading mail order suppliers of sports and leisure equipment and sports team wear. Its sales policy is a commitment to providing competitive prices, high quality products choice and value in all categories of sport. With over 20 years experience, Maudesport have established contracts with over 60 Local Authorities to supply sports equipment to their schools, colleges and other establishments. They have achieved “Preferred Supplier” status with many leading fitness and leisure companies. Maudesport also supply HM Prisons, NHS and MOD establishments as well Youth Centres, Special Needs Units and, of course, the general public. Its full range of over 4000 products include many of the leading brand names in sports equipment and team wear. Also offering its own “CENTRIS” and “CENTRAL” brands in clothing and equipment, which represents exceptional value for money. With Maudesport's own in-house garment printing facility, they are able to offer customers a one-stop shop for all of their requirements. Based in Aldridge near Walsall in the West Midlands they are ideally situated to supply goods to customers all over the UK. Maudesport are members of the Sports and Fitness Equipment Association (SAFEA) and The Sports Industries Federation and as such are bound by a strict Code of Practice to ensure quality in product and service. They are also members of the Youth Sports Trust Business Honours Club. Clubline Football have been football kit suppliers for over 20 years and there isn't much that they don't know about the beautiful game. Their passion is football at all levels and they know that enthusiasm is shared across their customer base. 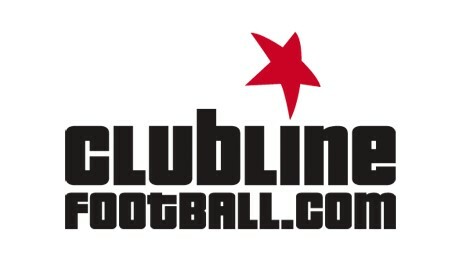 Clubline Football tries to match their desire for greatness by offering exceptional service, fast delivery that's free on orders over £35 to UK mainland (some exclusions apply). Their range spans over 24,000 products and if you aren't sure what you need simply contact them and they'll talk you through your options. ArcOframe 2018 will celebrate 15 years in the profile bending industry and in that time have gone from strength to strength. Originally set up as a small family run business, ArcOframe soon realized that there was a gap in the local UPVC market for arched, circular and shaped frames that required the profile to be bent during the manufacturing process. This was back in 2003 and initial orders came primarily from St Helens and Liverpool. Since then its customer base has expanded and they now deliver frames all over the UK, while still maintaining strong working partnerships with their earliest local customers.